Some of my PHP ZEND Students, friends wanted a PHP/MySQLi CRUD tutorial. 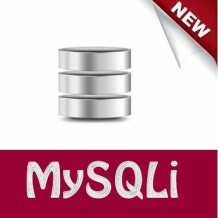 The MySQLi Extensions provides improved performance and take advantage of PHP’s updated functions. In this tutorial, we’re going to focus on how to CRUD records with MySQLi using its object oriented syntax (yes, not the procedural syntax). This is how to connect PHP to MySQL database using MySQLi library. We’re going to name this file db_connect.php. -$dbhost is the MySQL server that you are using. If you’re using your computer as your testing server, its value is usually “localhost”. 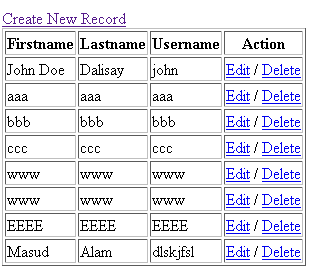 -These are the MySQL username and password that you have created or configured. 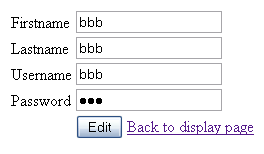 The “root” and blank (“”) password are the usual settings when you haven’t configured it in your localhost. But you can changed them. 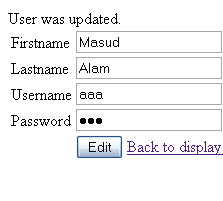 For example, you are using PHPMyAdmin to manage your database, just find the privileges link. -It is the name of your database. //on click of our delete link, a pop up will appear. hi im having a problem with delete. Hi there are some bugs I cannot fix. Sir, Your delete.php is not working. How to resolve that problem?